A Leeds charity which prevents homelessness is appealing to socially responsible businesses to help it celebrate the tenth anniversary of its social enterprise. 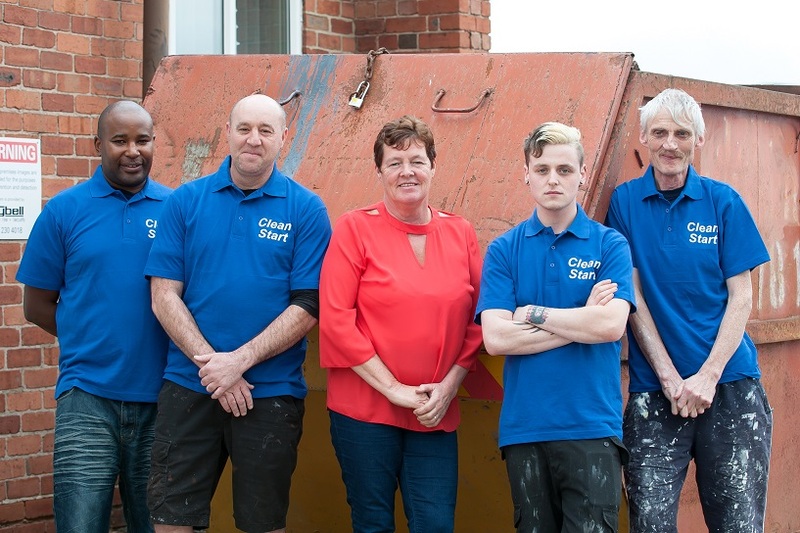 Turning Lives Around (previously known as Leeds Housing Concern) established Clean Start in 2009 to provide a step back into employment for some of the most marginalised people in society. Originally providing a deep cleaning service for local authorities, charities and those on low incomes it now employs nine people and offers de-hoarding, decorating and household repairs. Working from its Beeston base, Clean Start tackles the jobs that most commercial cleaners won’t because they are too dirty, tough or not financially lucrative enough. At the same time as helping its own team get back into paid employment, it has ensured many vulnerable people remain in their own homes and proved itself a reliable partner for charities whose clients need help, but cannot afford commercial rates. “As well as employing more people we have bought two vans,” explained Amanda Lister, Clean Start manager. “Clean Start would like to partner with businesses with a strong community ethos to help sponsor them. In return for financial backing we will advertise their brand and put the logo on the vans as they drive around West Yorkshire supporting our clients. The monthly cost of running each van is £550 which includes leasing, petrol, insurance and maintenance. “Ideally we would like 12 sponsors to pay for a month each then we can add their logo for a year giving them association with a trusted brand and low cost marketing,” added Amanda. “Clients are often elderly, have mental & physical ill-health or lack basic house-keeping skills. Our team can clean, de-hoard, decorate and do repairs and if appropriate we provide cleaning advice so they don’t need to call us back. Interested businesses can contact Amanda on (0113) 276 0616, or email alister@turninglivesaround.co.uk.